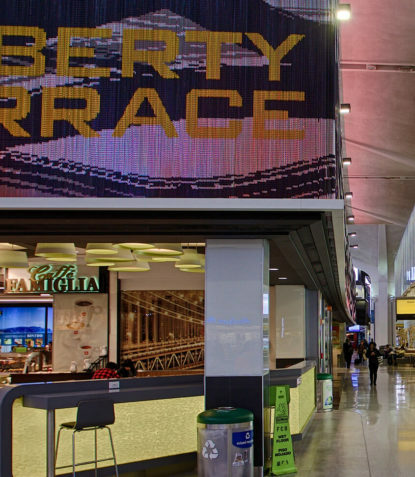 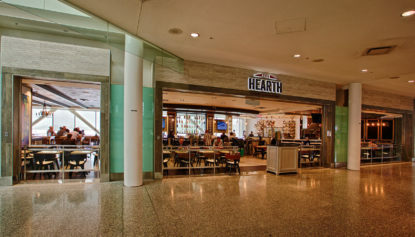 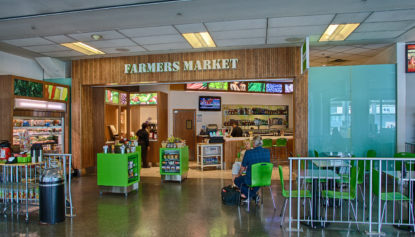 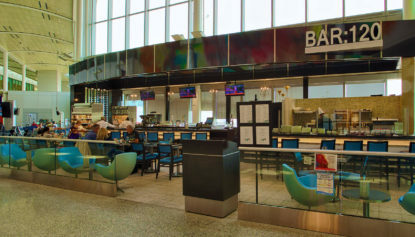 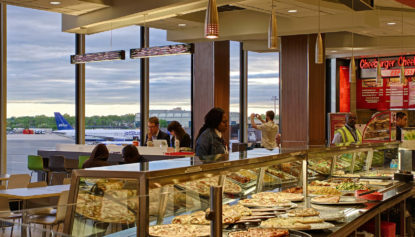 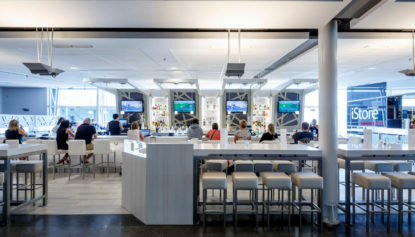 Liberty Terrace is the new food court in Newark Airport Terminal B. 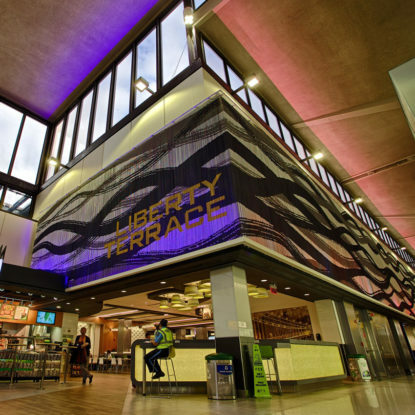 The program called for the renovation of the food court along with the large black glass panels which enclose the mechanical rooms above. 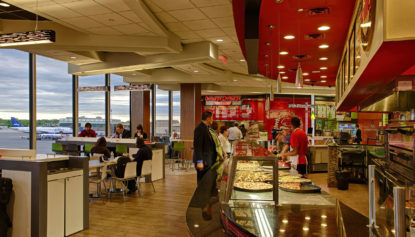 The budget ultimately did not allow for the removal of the panels but the ENV design team devised a clever approach. 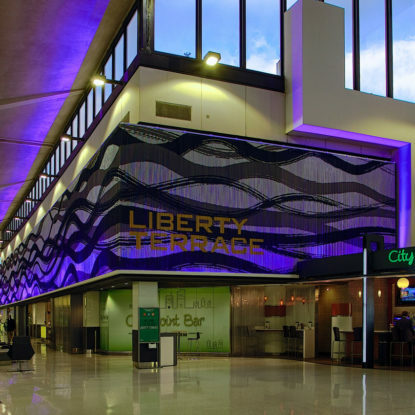 An altogether high-energy look was created by hanging chains with a motion provoking pattern on top of the existing glass paneled wall. 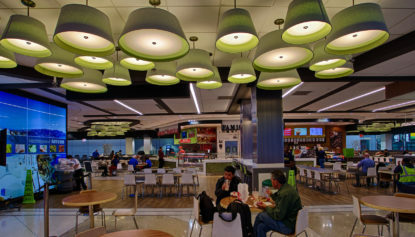 The chain wall is outfitted with a tracking LED light system at its base that changes colors with the seasons and holidays, and accentuates the movement of the custom organic pattern on the chains.